First, we spatchcocked a young chicken. 1. Light a chimney 3/4 full of charcoal. While the charcoal is lighting, mix chile powder, oregano, cloves, cinnamon, garlic, vinegar, orange juice, and 1 teaspoon of salt together in a small bowl. 2. When the charcoal is fully lit and covered in gray ash, pour coals out and arrange them on one side of the charcoal grate, keeping the other side empty. 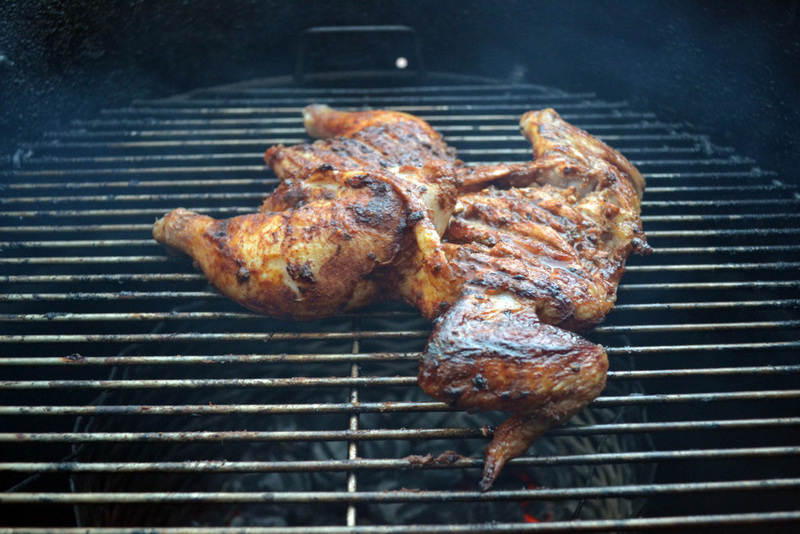 Place the chicken over the cool side of the grill, skin side down, and brush exposed side with the wet rub. Flip the chicken over and brush the other side with the rub. Cover the grill and cook, basting occasionally with any remaining rub, at 350 degrees until an instant read thermometer reads 165 degrees when inserted into the thickest part of the breast, about 45 minutes. 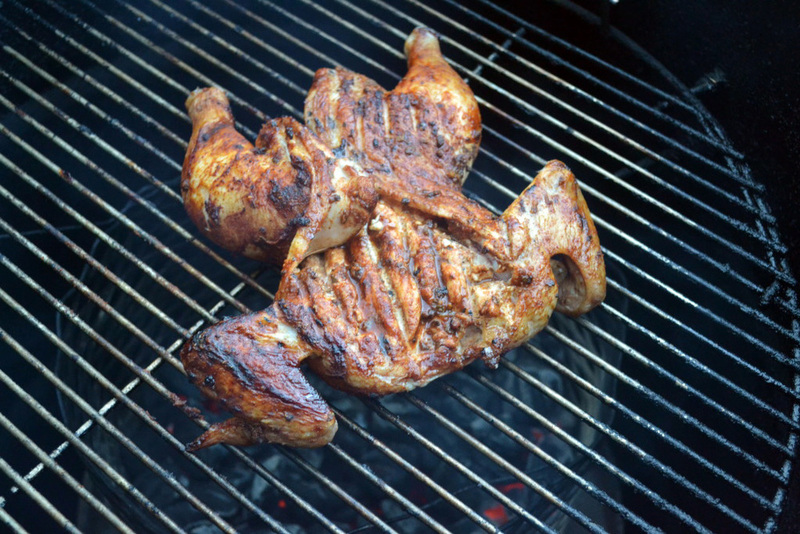 Remove the chicken from the grill and allow to rest for 10 to 15 minutes. 3. While the chicken is resting, brush the onions with olive oil and season with salt. Place the onions over the hot side of the grill and cook until tender and browned, about 5 minutes per side. 4. To serve, cut the chicken into quarters, top with green onions and tomatillo salsa.